He was married to Czech movie star Jena Brejchová. They met during the making of Štěňata in 1957. They could not hold the relationship and finally, they got divorced in 1962. Then he got married to Czech actress Věra Křesadlová and gave birth to twins, Petr and Matěj Forman, who are involved in theatre. But he also got separated from his second wife in 1969. He married for the third time to Martina Zbořilová on November 28, 1999, and they welcomed another twin. They were named Jim and Andy. 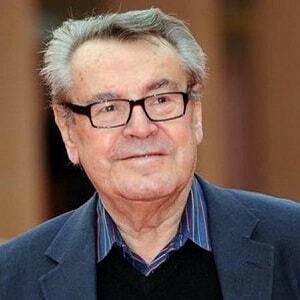 1 Who was Milos Forman? Milon Forman was a Czech American actor, screenwriter, film director and professor who won two Oscars for ‘One Flew Over the Cuckoo’s Nest’ and for ‘Amadeus’. He was also the director of ‘The People vs. Larry Flynt’ and ‘Man on the Moon’. He had been awarded Oscar Award two times for the category Best Achievement in Directing in the year 1975 and 1984. He was born on February 18, 1932, in Čáslav, Czechoslovakia. His birth sign was Aquarius and his birth name was Jan Tomáš “Miloš” Forman. His mother’s name was Anna and her father’s name was Rudolf Forman. His parents died around the year 1944 and he was raised by his two uncles and friends. He had a brother named Pavel Foreman and he was a painter in Australia. Milos was raised and worked in Czechoslovakia until 1968 and then he shifted to the USA. He got the permanent residence and citizenship of the US in 1977 and his ethnicity is unknown. He had joined the Academy of Performing Arts in Prague and worked as an assistant of the creator of Laterna Magika, Alfred Radok. He debuted with producing the documentary Audition in which the singers competed. He used to direct several comedies during his stay in Czechoslovakia. He was in Paris and negotiating the production of his first American film during 1968 and at that time Russian troops were invading Czechoslovakia. Milos was fired by his employer and he decided to move the USA. He used to be the professor of film at Columbia University in 1978 and co-chair at Columbia’s film department. Milos debuted directing from the movie ‘Black Beter’ in 1964 and established himself as a part of country’s New Wave movement. He came with another movie ‘The Loves of a Blonde’ in 1965 and ‘The Fireman’s Ball’ in 1967. He also directed the movie ‘Goya’s Ghost’ in 2006. Milos also made his acting appearance in the movies ‘Heartburn’ in 1986 and ‘Keeoing the faith’ in 2000. According to her wife Maris, he died on April 13, 2018, in Hartford, Connecticut at Danbury Hospital. Milos won Oscar Award two times for the category Best Achievement in Directing in the year 1975 and 1984. He was awarded Golden Globe for the category Best Director-Motion Picture in the years 1976, 1985, and 1997. His another win was BAFTA Film Award for the Best Direction in 1977. He had won many awards and he had been nominated several times during his career. It is estimated that he had a net worth of around $20 million and his main source of earnings was from his professional career. He had not been in any rumor and controversy during his life. He used to be secretive about his personal information. He had light brown hair and black eyes. Other information regarding his body information such as his height, weight, etc. is unknown. He had around 439 followers on Twitter and above 3k followers on Instagram. He does not seem to use Facebook. To know more about birth facts, family, childhood, education, profession, awards, net worth, rumors, body measurements and social media profile of Kurt Sutter, and Rachel Weisz, please click on the link.